Deirdre Shanahan’s debut novel The Caravan of the Lost and the Left Behind will be published by Bluemoose Books in May, 2019. Deirdre, who graduated from Birkbeck with an MA in Creative Writing in 2011, talks to Aisha Phoenix about parenting challenges among the Irish travellers in her new novel, her Irish heritage, displacement and editing The Mechanics’ Institute Review. 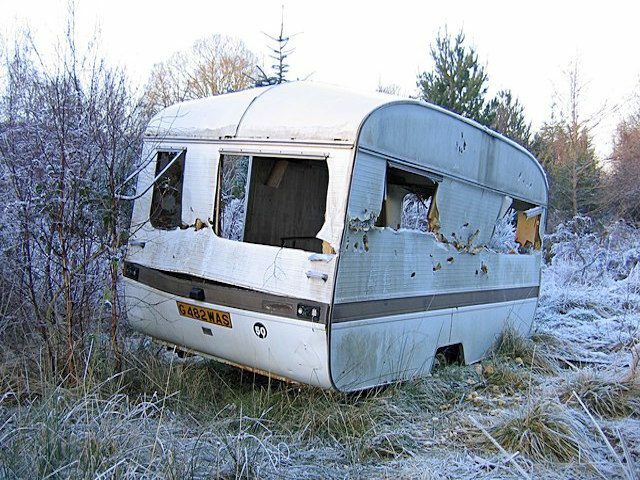 Congratulations on the forthcoming publication of your first novel, The Caravan of the Lost and the Left Behind. What inspired you to write it? There were two major things really. I encountered some Irish travellers who I got to know a little bit. Although they were obviously completely different from me, there were also similarities. For example, sharing the same religion, but their expression of it would be much more extreme and more reverent. So there were connections and I just had this abiding question, what if I had been born into that community? In the way that a writer does think about the world. Those were the two things, meeting them and then the question that arose from that meeting and thinking about the sense of otherness and difference, but also the similarities between us. Also, in Irish literature there are stories of travellers and I just began to think of them more as a people. This was a group of travellers who had settled on a site in London. They were in a really busy part of London and in a way they were trying to maintain some of their rural and Irish traditions in the midst of motorways and houses and I was intrigued by that. That was probably the biggest trigger. And were you already familiar with Irish traditions? Yes, absolutely, steeped in them. My parents are Irish. I was brought up there for part of my childhood. Meeting the Irish travellers was like finding another group of people to whom I already felt a subliminal connection. They were in London, I was in London and I began to think of how it must be for them. The other thing that was on my mind is that, like a number of communities, when Irish people came to England they used to believe, and probably still do, that they would return home. There is always this sense that they will make good here and they will return home. But lots of people don’t. Certainly in the past some people didn’t because they did not do well, they did not succeed. I began to think about that dissonance and that disturbance and that break with a place that one would have known as home and yet might not be able to return to. I wanted to explore that because I had been fortunate to always have links with Ireland with my parents and a big extended family. I was thinking what it would be like if there was a rupture to all that and I wanted to explore it. I started this about eight or nine years ago. I had the idea for the novel before I started the MA in Creative Writing. I have to say, with some sadness, that one of the themes in the novel has become even more prescient because the main character Eva returns with her son partly to protect him from having witnessed a stabbing. She is trying to ensure that he does not get implicated. That was on my mind because I knew of a stabbing that had happened outside a nice school that I know. But at the time it was a very isolated incident. That is why it stayed with me. Now I can hardly pick up the Evening Standard without reading of a stabbing. Reading those incidents constantly is heart breaking. When I started the novel, it was a number of years ago and some of these things have, over time, become more current. What it means though is that I feel you have to write about what is important to you. It is not about following trends, it is about what you are passionate about and everything else follows. It is irrelevant what happens in the bigger world, you just have to follow what is important to you and then your work will find its place. That is a very good piece of advice. You have already said a few things about the novel. I don’t want you to give the story away, but do you want to say anything else about it? One other important theme in it is that Eva, the mother, the Irish traveller, had left a child in Ireland years before. She had been in London, she had two young children and she could not cope, so she took the youngest one back to her mother. Although her mother was a traveller as well, because of the nature of travellers they tend to circulate in a known geographical area, so she was able to go back and leave the daughter with her mother. Caitlin is a little girl who has come from a fleeting relationship that Eva had with a black man, so she is mixed race. There is a little bit of tension when Caitlin is growing up, and currently as a young woman in Ireland. The novel is very much about Eva trying to reconnect with Caitlin, and the entanglements that follow for her and her son out of that attempt. Was Caitlin’s ethnicity part of the reason that her mother sent her away? It wasn’t actually. I did not see it as that at the time. It was that Eva could not physically manage because she is a chaotic person, but I think it does raise that question. In the novel is there any stigma attached to having a child of colour? I think there is, but Eva is not admitting it. The trouble is when you are writing, I think you do not realise the full implications. You get intrigued by a name or the way someone walks and you start creating a character, but sometimes the characters are more intelligent than the writer, or there is a different intelligence. Was there anything that particularly inspired the story line of Eva leaving Caitlin in Ireland? The notion of motherhood has always been important to me because my mother was a midwife. Because she loved what she did, I think motherhood was just there in the background. She was a great mother as well. She did not really tell me patients’ personal stories, but from her work and her attitude the notion of motherhood just seemed to be something that was in my landscape and I was drawn to exploring it. What would it be like if you were to do something abrupt against the norms of being a mother and take a child to stay with a relative? Although we know it happens. Children are often privately fostered and adopted and that certainly happened in Ireland. I had heard of some stories like that within the extended family and I wanted to explore them. You were born in England, but your parents are both Irish, do you consider yourself Irish? Yes I do, I consider myself mixed. Mixed up and confused. I feel a lot of my instincts are Irish, and my reference points are, and I have written about Ireland quite a lot and I think it is an abiding theme, but I suppose arising from that, and where I am, what I write about, what I get drawn to look at are things about displacement, fracture, that sort of disturbance that arises in a life. Another thing that interests me is the disjuncture between rural and city life. I often write about the country or the city. It seems to be one extreme or the other. So those are some of the themes that arise. Do you think that your interest in displacement, fracture and disturbance relates to having Irish parents and having to negotiate being brought up in Ireland and England? Do you think the writing helps you to explore your own experiences? I think so, definitely. When I was younger I had this great longing to live all the time in Ireland. I think the writing does help. Do you know what was drawing you there? Was it a sense of family? I am sure it was. I think also the landscape. London and the outskirts felt very built up and busy and I was drawn to the landscape. That was a big pull and it still is really. Do you think you might live in Ireland at some point in the future? Yes. Maybe. I can certainly envisage spending more time there. When and where did you live in Ireland? We went there when I was seven for a couple of years and then returned back here. I lived in County Kerry, which is in the South West. Is that where you have family connections now? Yes, and I also have them in the West of Ireland. So if you do go back is that where you would go to? Probably, yes. It would be one of those two places rather than a big city. I would be drawn to places where I had a connection. I have always written. It is something I did when I was younger. My father used to encourage me to write stories. He told stories and he wrote stories and I have always done it to a lesser or greater extent. It has always been a strand in my life. I guess over time it has meant different things. I think when you start off you are just satisfying yourself, but as you get older and progress you have a greater awareness that some other person might read your work. Emotionally it means a lot. I have noticed in the past that if I did not write, or if I was not in connection with that part of my brain, I would get irritable. I do not mean sitting down and writing for hours a day, just having that small bit of space. Bluemoose Books are publishing your novel. How did you develop that relationship? How did you secure that publishing deal? I just sent my novel to them. Over the last 18 months they have come into greater prominence, which is great. But at the time I had heard of Benjamin Myers, whom they publish. Independent presses have come into their own now. Then they were just starting to and I had a hunch. I thought it might strike a chord and fortunately it did. I did not have a personal connection to them. I had not been in touch with them, I just sent it. You are having your novel published and you have won a number of awards. Can you talk about your writing journey? I wrote stories and I had some of them published. There were little highlights along the way, which kept me motivated. I won or was shortlisted for various competitions, including Fish Publishing and the Spread the Word Writing Prize. I won an award from the Arts Council and most recently I won the International Wasafiri Fiction Award. All of these gave me a sense of direction to keep going. I am having a collection of stories published next year. What is your collection called? It is called, Carrying Fire and Water and it is published by Splice Publishers, but I wanted always to tackle a novel. It is a massive, big enterprise, but I was always beguiled by it. I do like the novel. It is a challenge, it is frustrating and annoying, but there is something very satisfying about having a bigger canvas, about the expanse that you can travel. So that was on my mind. I was very keen to write a novel and I just got going on that. I had written attempts of this novel before I did the MA. An earlier version of the novel is completely different. I had this idea of four first-person narratives, which in theory sounds great and you could probably do it, but it was not serving the story that I wanted to tell. So I just kept working on the novel form, trying to get what I wanted, and intermittently I might write a story, but the novel is what I was trying to get adept at. When you tell yourself that writing a novel is what you want to do it sounds like a big undertaking, as if it might be overwhelming, but part of the reason for wanting to do the MA was that I thought it would help to break it down and help me not be overawed by the prospect. Yes, it did, in lots of ways. Having that discourse around what a novel is, being with other people who are attempting to do the same thing is really valuable. Just that contact with people who are struggling with the same challenges as you is very consoling. Obviously you share each other’s work and you learn to critique and you see weaknesses in their work and then you can see them more clearly in yours. That whole learning process feeds your work and things begin to become a little clearer in terms of what you are trying to do. Did you workshop the novel you are going to have published this year with your tutor? Some of it was workshopped, yes. I was fortunate because my tutor was Joanna Briscoe and she was really good. She seemed to get what I was trying to do and was supportive. So I did workshop some of the novel. Not by any means all of it. You can’t, there just isn’t the time. But that was great though, to get that insight from her and the rest of the class. Before we began the interview you were talking about wanting to find likeminded writers on the MA. How did that work out? Out of the MA, one or two people were keen to carry on afterwards and have a workshop scenario and I hooked up with them. None of them I had known from my own immediate workshop course and classes, but we got together and continued to share work. That is what I was looking for. It is like lots of things, you have to find your own tribe. You find people who are likeminded who want to continue that serious discussion beyond the course. I found that and that has been really helpful. The people that you encounter while on the MA, in terms of the course, classes and workshops, the community in that sense is helpful and vital as well. How do you think that being an editor for the Mechanics’ Institute Review at Birkbeck has helped with your editing and writing? I found it to be an enormously helpful process, more than I had imagined. When you are an editor, I discovered, you get all these pieces of writing coming in and selections were made entirely based on what was in front of us. So what I learnt was that what is on the page in front of you is what counts. It did not matter who the person was. It helped me to depersonalise the whole business of submitting and to toughen up. You realise you send something out, yours is one of a hundred pieces, maybe more. There is no point in getting upset if it is not selected. It is the editor making a choice based on whatever criteria they have in their head. It was a good learning experience for me. Not that I was overly sensitive or anything, but it just crystallised the editorial process and what it is like getting in this massive number of submissions. The other thing I discovered was that there were often very good stories, but they had not been followed through, or they had not been given enough thought, or they had not been finished and there was a good germ of an idea, but it just had not been utilised. If that person went away and worked on something for a couple of months, it would be great, but they had not, so what had come in was just not acceptable. I learnt that in every piece of writing there is usually something really good. It was a fascinating process for me because I had known people who had worked as editors and I had been a little bit aware of the publishing process, but to be behind the desk and getting all these submissions, you say, ‘Oh my God!’ and then you start reading them and it is really useful. Did you learn a lot from editing other people’s work? Apart from what I had picked up in the workshops and developed in myself up until then, I had not had any formal training, but it is about being a critical reader and bringing out the best in a piece of writing. What we were doing was just extending what we had done in workshops in a different format. You acquire the skills. Some pieces did not need much input and some needed a bit more. It is a bit like how one would edit oneself really, you have to train yourself. Do you work full time as a writer? I was fortunate to have a break at one time in order to have a period to write, but on the whole, I work as well as write. Do you see a situation where writing will pay enough to be your full-time job? In all honesty I cannot ever see that happening because it is just not like that. Unless you are writing a detective novel or a genre novel or maybe horror or fantasy or something, yes, but I am not, and I do not think the financial rewards are going to be massive. If I was expecting them to be, I would not be writing. That is not what propels me. I am sure some little advantage will come, maybe financially, but you only have to look to groups like the Society of Authors and information that comes out in the press about how much authors earn, it is minimal. At the end of the day, the world is not crying out for another novel. Some people will do very well, but for most writers you have to have a day job. Who are the writers who inspire you? I try to read as widely as possible. I like Gabriel Márquez. I am reading Nadine Gordimer at the moment and her style is quite different and unexpected. I love John McGahern. I like Rachel Cusk, I think she is a wonderful stylist. I like Edward St Aubyn, who is writing about a completely different social class to the people I am writing about, here at least, but I love the way he handles language. Sarah Hall, I really like her work. I like Claire Keegan, Sebastian Barry, James Baldwin, Louise Erdrich, whose writing on ‘Native Americans’ influenced me, and Toni Morison. Have you got any forthcoming readings? I love reading out loud and I am open to offers. One of the treats in my life was hearing Toni Morrison read in a bookshop in Earl’s Court. It was a few years ago. I thought it was fantastic. It is great when you have the writer in person. I have got a great kick out of hearing people read live. There is a magic about it. My short story collection will be launched next year. Are you having a book launch for The Caravan of the Lost and the Left Behind? Yes. It will be in May and it will probably be in a bookshop in London. How do you feel about having your first novel published? It really is significant. I hope I have created characters who people want to go on a journey with. The characters have been important and I hope that people will be drawn into their world and continue reading. 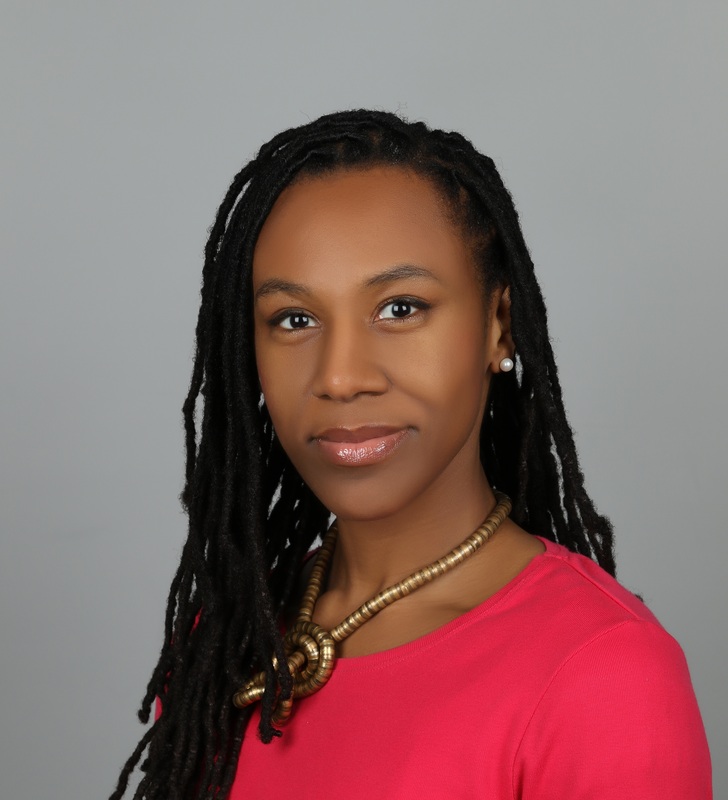 Aisha Phoenix is an MA Creative Writing student at Birkbeck. She writes fiction and poetry and has had work published in: Peepal Tree Press’s Filigree poetry anthology, the Bath Flash Fiction anthology, Strange Horizons, Litro USA online, Bards and Sages, Crack the Spine, Word Riot and the Oxonian Review of Books. She has a PhD in Sociology from Goldsmiths, University of London. 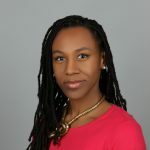 Aisha Phoenix is a MIROnline features writer. She tweets as @FirebirdN4. 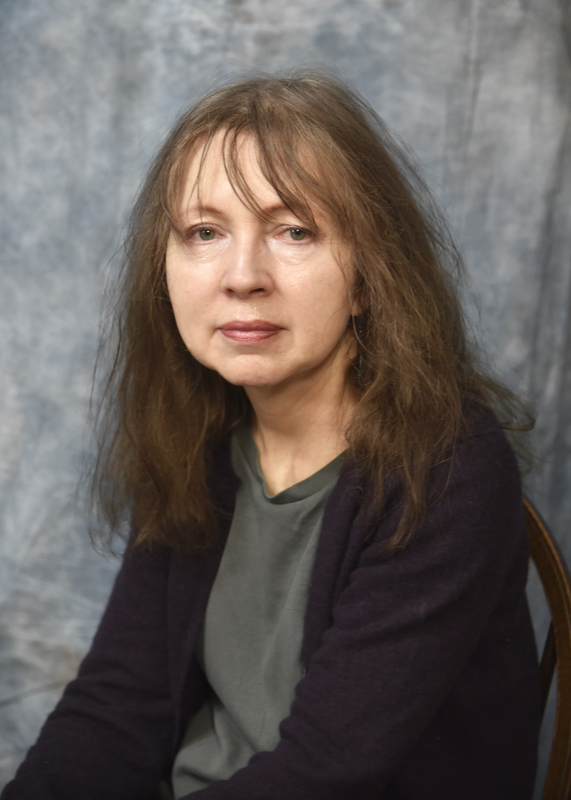 Deirdre Shanahan has won an Eric Gregory Award from the Society of Authors, a major bursary from Arts Council England, been joint winner of the Michael Marks Award 2014, won the Lightship Novel Award 2016 and the Wasafiri Fiction Award 2018. One of her stories was included in the seminal anthology, ‘The Best of British Short Stories 2017,’ edited by Nicholas Royle from Salt Books. 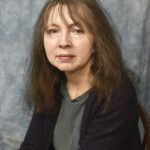 Other stories have been published in Ireland, the USA and UK in journals including, ‘The Massachusetts Review’, ‘The Southern Review’, ‘Iowa Woman,’ and the ‘Cimarron Review,’ who featured her work in their International Series. She has had stories in anthologies from Serpent’s Tail, Honno Press, New Writing, Vintage / British Council and the Phoenix Book of Irish Short Stories. Her work has been broadcast on BBC Radio 3, translated into French and read at The Word Factory, London curated by Paul McVeigh. She has received grants in order to write from the Arvon Foundation, been short-listed for the Arvon-Jerwood Mentorship Scheme and held a residency in 2016 for the Heinrich Boll Cottage, Ireland.